Click your heels together and play the fantastic Wizard of Oz Ruby Slippers Slot Machine. The reels include 30 paylines filled with your favorite characters from the classic film. Land on the Wizard of Oz for a chance to win a Free Spin with a X10 Multiplier. Williams Interactive created two different Video Slots devoted to the classic film, The Wizard of Oz. 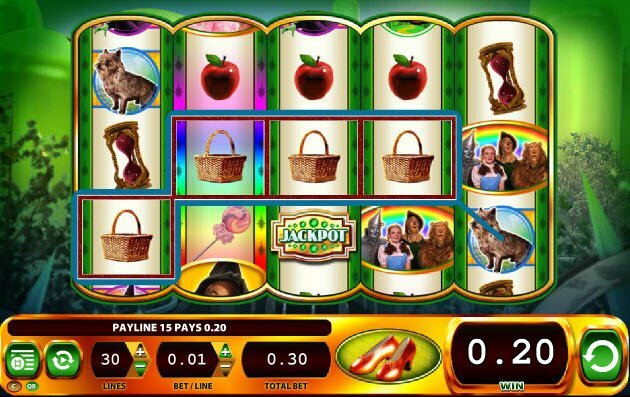 In this version, the Wizard of Oz Ruby Slippers Slot, all the beloved characters from the movie reward different prizes. Land on the Wizard to win a Free Spin and Multipliers up to X10. Everyone knows the story of Dorothy and the yellow brick road. 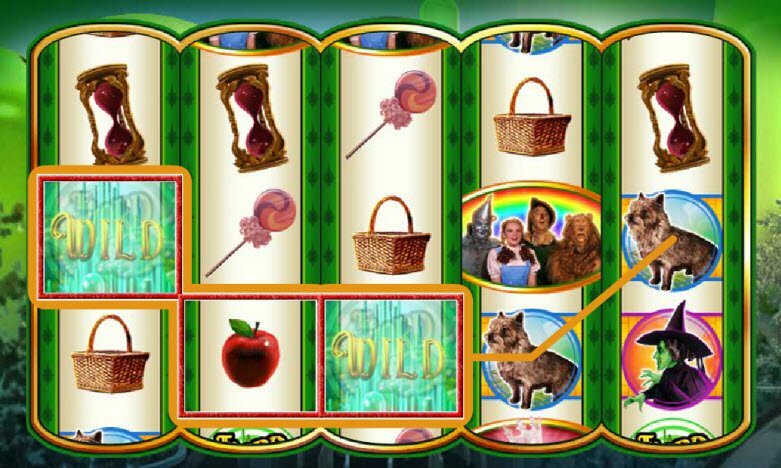 Relive the classic film with the Wizard of Oz Ruby Slippers Slot Machine. The reels contain images directly from the movie including Dorothy, the tin man, the cowardly lion, Todo, Glinda, and of course, the wicked witch of the west. Join the whole gang as the reels spin and land on rewarding prizes. The only ones missing were the lollipop kids! Join the whole gang as the reels spin and land on rewarding prizes. The only ones missing were the lollipop kids! In terms of bonuses, the Wizard of Oz Ruby Slippers Slot leaves something to be desired. The game lacks a Bonus Round or Double Up/Gamble Features. 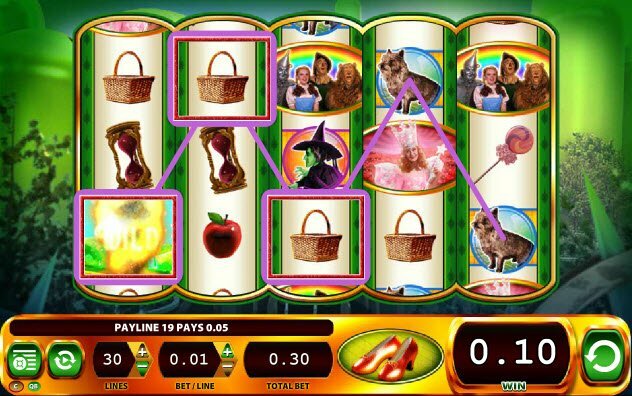 Still, the Wizard of Oz Ruby Slippers Bonuses does include a jackpot symbol as well as chances to win Free Spins and Multipliers. The Jackpot symbol awards up to 120 coins when 5 of these bad boys appear on the reels. This game also contains a Wild symbol which substitutes for the hourglass, lollipop, basket, apple, wicked witch, Toto, Glinda, and the photo of Dorothy and the gang. Hands down, the Wizard represents the most rewarding symbol in the game. Landing on that goofy image of the Wizard of Oz will really make your day. 3 of these symbols retriggers a Free Spin. 4 activates a Free Spin and a 5X multiplier while 5 symbols retrigger a Free Spin plus a 10X multiplier.